Helen Dodson Prince is seated at the center with the document in her hand. 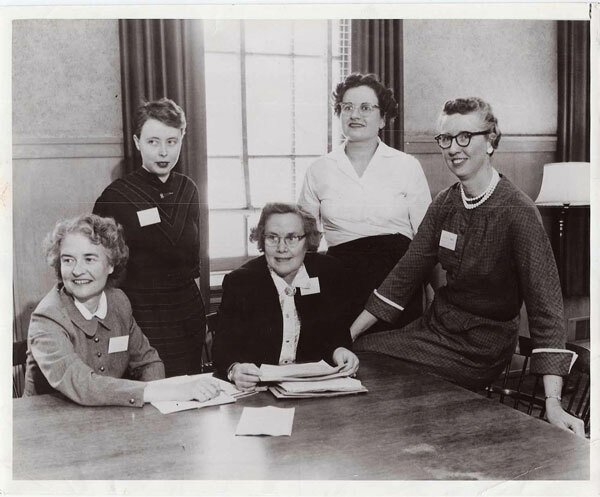 Her University of Michigan colleague Ruth Hedeman is on the far right, and Harriet Hutzler Malitson, Goucher student and friend of Nan Dieter Conklin is behind Helen Dodson Prince. The other women are unidentified. Photo courtesy of Ruth Hedeman and Jody Hedeman Couser.